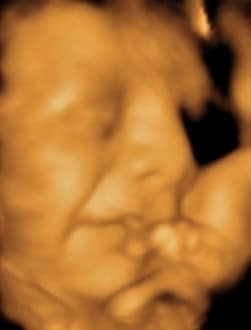 While a baby is developing in your womb, they’re doing a lot more than just growing. 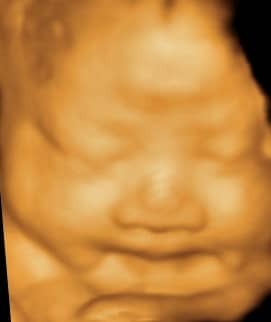 They’re flipping and rolling, kicking and poking, yawning, sucking their thumbs and sticking their tongues out. 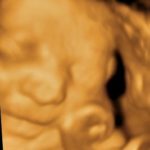 You may even feel them hiccuping! 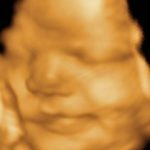 But there’s one thing your baby might be doing without your knowledge that most parents can’t wait to see their newborn do – smiling. 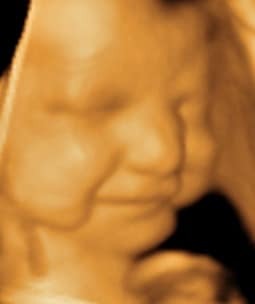 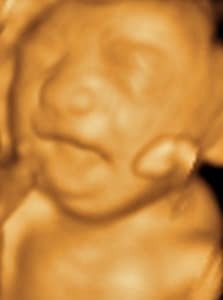 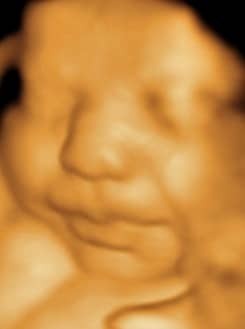 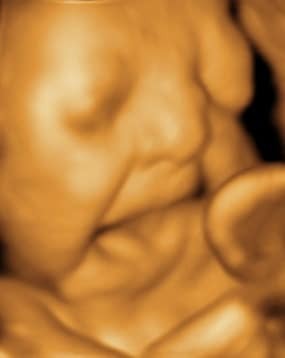 With development of 3d 4d ultrasound technology it was proven that babies can smile or even cry in the womb. 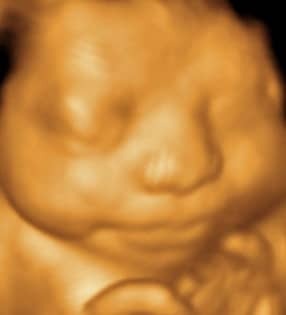 It’s now believed that babies are testing out these reflexes for when they’re needed after the baby is born. 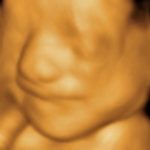 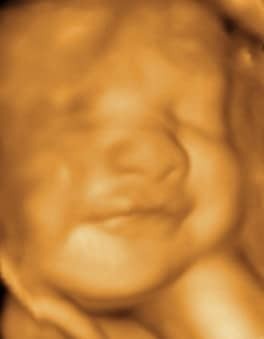 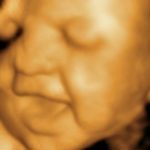 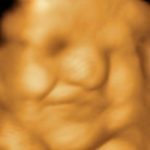 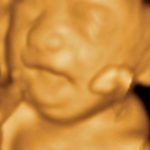 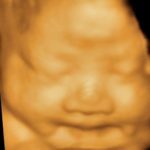 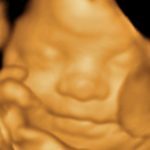 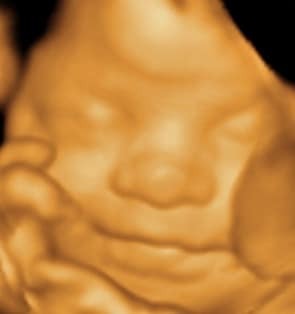 With the advent of 3D and 4D ultrasound, it’s possible – although still difficult – to capture an image of a smiling baby. 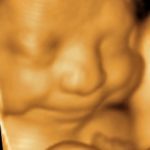 This relatively new technology delights most expectant parents, who can’t wait to get a look at their baby as it grows. 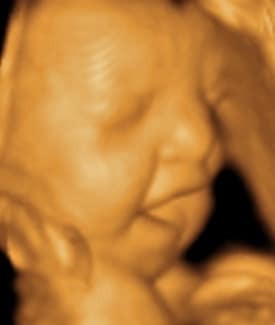 Seeing a baby smiling in the womb takes the ultrasound experience to another level, helping soon-to-be parents to bond with their baby before it’s even born. 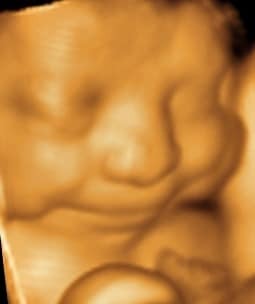 Professor Stuart Campbell led a research team in documenting the facial expressions of babies in the womb. 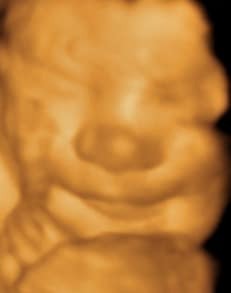 He says that old point of view stating that babies learn to smile from their caregivers is wrong. 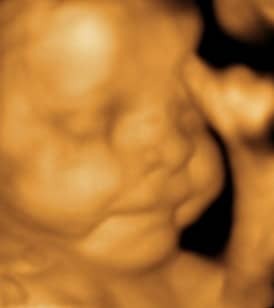 “This may indicate the baby’s calm, trouble-free existence in the womb. 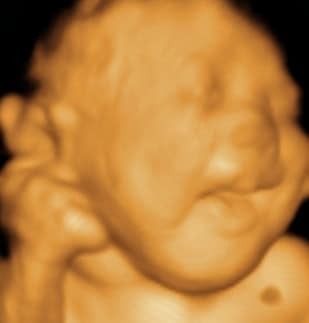 That correlates to the relatively traumatic first few weeks after birth. 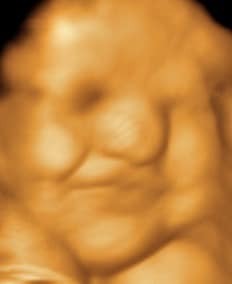 During that time the baby is reacting to a strange, new environment,” Professor Campbell said. 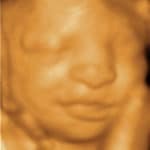 Unlike conventional 2D ultrasounds, which “see through” the baby to its internal organs, 3D and 4D ultrasounds show a baby’s skin. 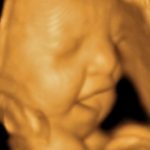 This means you can see fine details, including their fingers, toes, and of course their facial features and expressions. 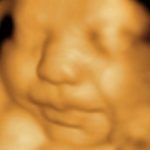 As babies sleep most of the day in the womb, it’s more common to capture a yawn or eyes opening and closing than a smile, but that doesn’t mean it’s impossible – especially with the best ultrasound technology. 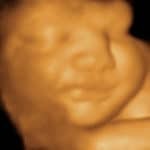 Before booking a ultrasound appointment, you should ask the facility what kind of equipment they use. 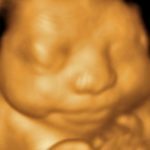 The best ultrasound machines are manufactured by GE, and Include the GE Voluson 730 Expert. 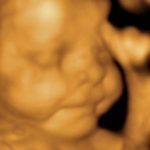 GE was responsible for most of the important breakthroughs that made 3D and 4D ultrasounds possible. 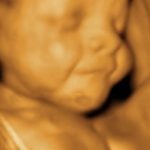 If the facility you plan to visit doesn’t use a GE machine, you may want to search for one that does. 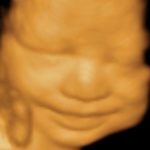 Although the technology your facility uses and the training level of their staff is important, the most important factor in getting that all-important “smile shot” is not the machine or the sonographer – it’s your baby. 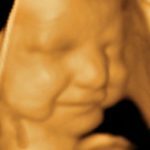 They need to be in a good position for the ultrasound technician to get a clear shot of their face, and even then, they may not decide to smile. 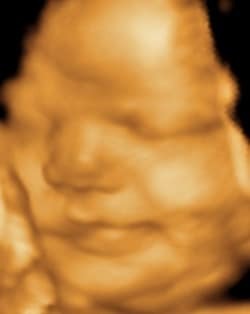 There are various tips and tricks women use to “wake up” their babies before or during 3D or 4D ultrasounds – drinking sugary fruit juice or eating candy is a popular tip, as is taking a walk (or if you can manage it, a few jumps) to jostle your baby into moving into a better position. 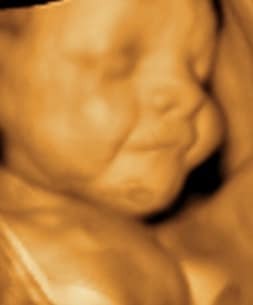 Some people even try playing familiar music; a baby can hear sounds from outside the womb from as early as 14 weeks. 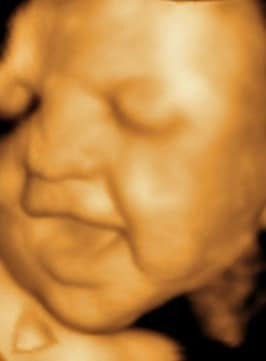 Your baby will be trying out a range of expressions as they prepare for birth. 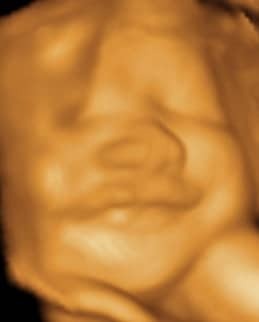 Even then, it’s not a given that you’ll get a smile shot. 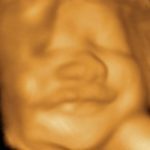 However, if your baby does smile, an expert ultrasound technician may be able to give you a few pictures of the smile to take home. 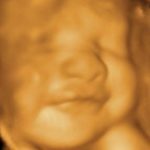 Only the best ultrasound facilities are likely to capture a “smile shot,” so if you want to see your baby smile in the womb, it’s best to shop around before choosing a facility. 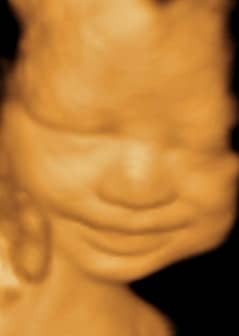 If your baby doesn’t smile during your ultrasound appointment, try not to be too disappointed – within a matter of weeks, you’ll be seeing his or her smile when you can touch, hold and cuddle your new baby. 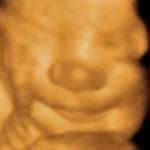 And your baby will be happily smiling while you wait. "Thank you so much for such a great experience. 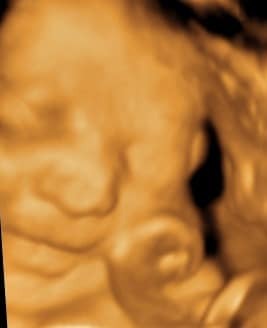 You made my family feel like your family. 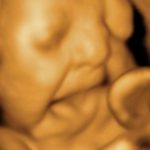 I will never forget you and we will definitely be back with my next baby. 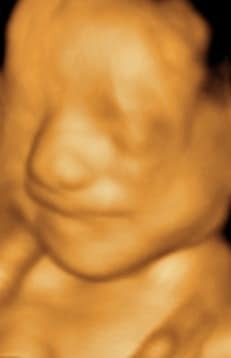 Thank you again for everything." 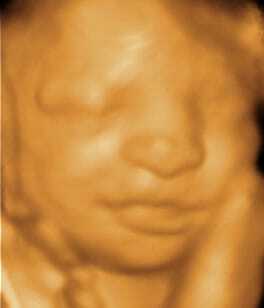 "Thank you Baby Images for allowing me to get an early glance at my baby girl. 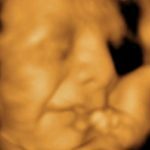 Your staff was very nice and professional. 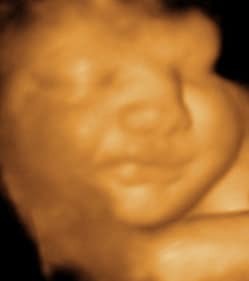 Thanks again for these wonderful memories."